This pretty sneaker is a lovechild of the espadrille hybrid trend. 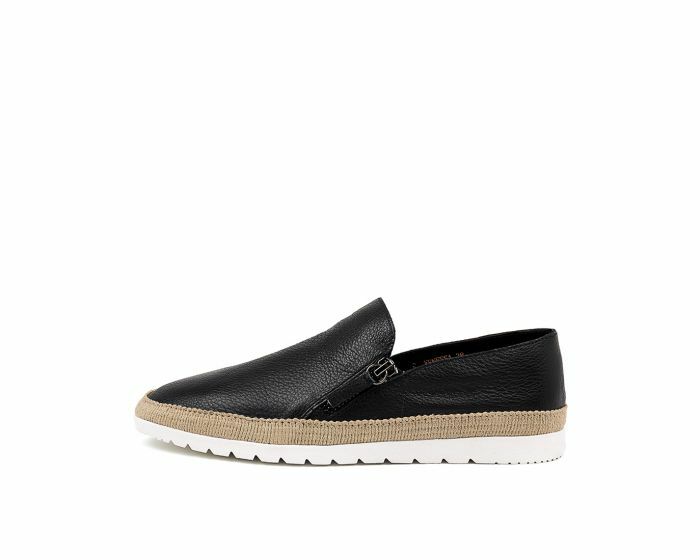 A soft leather upper features twin zips for easy slip on and a twine trimming for nautical flair. Perfect for seaside strolls or entertaining friends at home, pair with white linens or navy denim for a breezy casual look.